“Who is the Rook,” would be more correct. Never-the-less it was a good question. 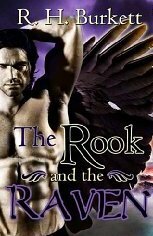 The Rook and The Raven was my first attempt at writing a paranormal romance. Vampires, ghosts, shape-shifters, zombies, etc, etc. while quite interesting are overdone and are becoming boring to my taste. I wanted a fresh idea. A new character. But who? 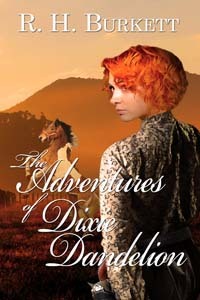 If you are a regular reader of my blog, (and I hope you are) you will know that inspiration for my stories and characters often come from my dreams. One particular dream sticks with me for a several reasons that I won’t go into. But it was from this dream The Rook was born. Not a question, but a statement of fact. I took a big gulp of air that tasted like grass and herbs and squirmed in my chair. Bronze eye-shadowed lids closed, and she eased back into the chair’s fluffy cushions. A deep sigh shook her heavy bosom like jelly, and the bone-and-alligator tooth necklace resting on them rattled. She spoke a hypnotizing Jamaican melody. The room closed in around me, and I struggled for a deep breath. Do you have the nerve to experience an unknown character? If so, download The Rook and The Raven by R.H. Burkett available February 8th, from the Wild Rose Press. The Wild Rose Press named Best Publisher of the Year for the 4th year in a row by polling on Preditors & Editors. 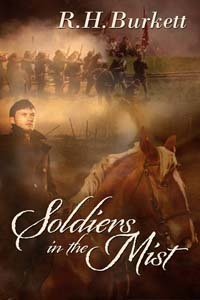 This entry was posted in ghosts, paranormal, R.H.Burkett, Ruth Burkett Weeks, shape-shifters, The Rook and The Raven, The Wild Rose Press, zombies. Bookmark the permalink. 8 Responses to THE ROOK AND THE RAVEN—-If you dare. Woohoo!!!!!!!!! I absolutely can NOT wait to read it. The cover is fantastic. This is so very exciting. Congrats, my friend! Wow! I am so excited to read The Rook and the Raven, I may have to buy a darn Kindle. Congratulations, Ruth! Jan, Claire, and Pam: Thanks for the comments. Hope you want a Rook of your own when you finish reading! Nice cover, too. The title takes me back to a childhood favorite card game, Rook. Congratulations, Ruth, wish you the best of luck with this book! I am hooked! Just a paragraph, and now I am counting the days till I can read it all. Thanks Denton for the comment, however this Rook is nothing like the card game.Wild Rose Press did an excellent job on the cover. LeAynne: I can't wait for your review!